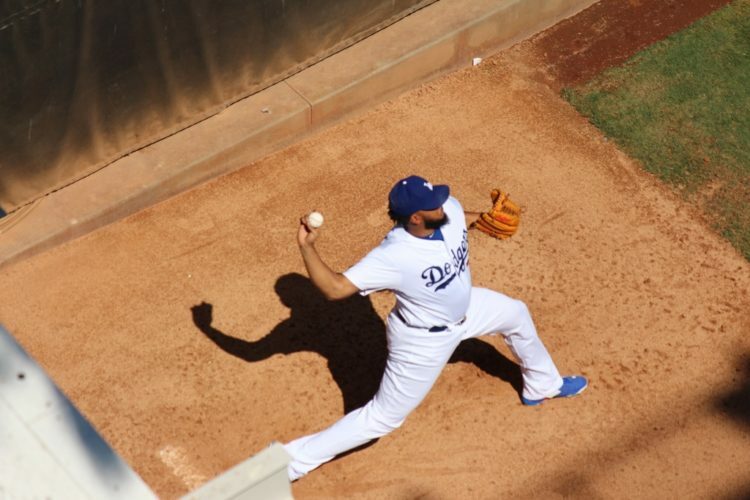 After not being available to close out last night’s game in Colorado, it was reported that Kenley Jansen was out because of an irregular heartbeat — something that has been a somewhat common occurrence for him when the Dodgers visit the Mile High City (2012, 2015). This morning, the timetable for his return was made public. Sources: Kenley Jansen is expected to miss about a month as he goes through treatment for his irregular heartbeat. First and foremost, Jansen getting healthy is the No. 1 priority. It doesn’t matter how long he’s out. Heart issues are nothing to mess with. If he’s out a month, fine. If he’s out two, that’s fine, too. It’s reportedly a “manageable” situation, but he has yet to see his cardiologist in Los Angeles this morning. Now, it’ll be interesting to see what the Dodgers do at the end of close games in lieu of their All-Star closer. There is no Brandon Morrow around this season to step in for Jansen, and help won’t likely be coming from outside the organization. 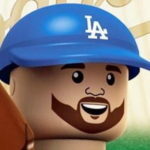 Scott Alexander was the first man up last night, in part because Dave Roberts wanted to stay away from Dylan Floro after he had thrown in three consecutive games (over four days). But those two figure to share the duties, depending on the situation. Alexander is the best reliever (pitcher) in the game at getting ground balls (71.2 percent). Floro has seen his ground ball rate drop by 3 percent since coming over from the Reds, but he’s seen his strikeout rate go from 17 percent in Cincinnati to 33.3 percent with the Dodgers. On the surface, Floro would appear to be the better option because he has displayed better command and swing-and-miss stuff this season. But Alexander has been with the team all season (save 11 days in Oklahoma City) and is much better against left-handed hitters (.244 wOBA) than Floro is (.304 wOBA), which is why the end of the game will depend on who the opposing team is sending to the plate. That’s not to say Floro or Alexander can’t face left- and right-handed hitters, respectively, but you know Roberts is going to use the data available to him to make the informed decision. As long as that decision doesn’t involve Pedro Baez, things should be OK at the end until Jansen is deemed healthy enough to return. Outside of Alexander and Floro, there doesn’t appear to be another contender. Caleb Ferguson has been good, but there’s no way he’s thrown into a high-pressure role like that (and he has platoon split issues as well). The Yimi Garcia vengeance tour has never taken off. Ross Stripling — fresh off a 6-inning, 1-run outing in Colorado — probably isn’t going back to the bullpen anytime soon (and is probably better served in a multi-inning role anyway). Tony Cingrani would have been the clear front-runner if his shoulder wasn’t preventing him from, you know, pitching. Dennis Santana would have been an interesting guy to have right now, but he’s a combination Ferguson (young, untested) and Cingrani (injured). And if you thought Alexander, Ferguson and Floro had not-great platoon splits, don’t look at J.T. Chargois‘ split page. One guy who would be the most interesting is Kenta Maeda. He has made great strides against left-handed hitters because of an improving changeup. His wOBA is just .03 points lower than last season against them, but his K-BB% has improved from 9.7 percent in 2016 to 10.4 percent last season to 13.7 percent this season. His strikeout rate against leftties is up almost 6 points from last season, too. If not for three consecutive rough outings that saw left-handed hitters Nick Williams, Eric Thames and Marwin Gonzalez hit home runs, his numbers would look a lot better recently. An odd stipulation for sure, but it just shows the importance of keeping the ball in the yard. Of course, moving Maeda to the bullpen now would be suboptimal for him. He’s one of the best starting pitchers on the roster and deserves to stick in the rotation. Roberts has said the 6-man rotation is on its way out, and with Hyun-Jin Ryu coming back soon, someone is going to have to move to the bullpen — provided everyone is healthy, which is a big assumption. It would also prevent Maeda from hitting his contract incentives for games started and innings pitched, which would be shady on the Dodgers’ part. Alex Wood would actually make a ton of sense, but his situation is similar to Maeda’s, minus the contract concerns. He has sub-.300 wOBAs against left-handed hitters (.253) and right-handed hitters (.295), and his 12.8 K-BB% against righties is pretty close to Maeda’s mark against lefties. But Wood hasn’t thrown in relief since Game 7 of the World Series. He last pitched in relief in a regular season game April 15, 2017. Oh, and he’s also currently on the disabled list, so he might not be the most feasible option right now. There are no perfect options here. It will truly be a closer by committee situation for the Dodgers. The good thing is, there are a lot of quality pitchers in this organization. Whether it’s Alexander, Floro, Maeda or eventually Wood, the Dodgers should be OK until Jansen comes back. Like I said earlier, Jansen being 100 percent is the main thing. Baseball is secondary to that. But in Jansen’s stead, the Dodgers have some solid options.